Imagine that you're standing in line at your college graduation, waiting to walk across the stage and get your degree, and you take a look at the ten people closest to you. Of those ten, four didn't start with you during your freshman year. They transferred in. And of the transfers, two transferred more than once. This is at least the third college they have attended. A 2015 look at transfer student trends found that 37.2% of first time college students will transfer. Of those, 45% will transfer more than once. Being a transfer student is fairly common. Chances are you've just transferred, or are thinking of transferring. So while it seems daunting to start again, just remember that a lot of people of doing it successfully. Here are nine tricks to help make your transfer a little more seamless. Being the new kid is never fun, but there are some tips and tricks to help you make the adjustment a little more quickly. Before you ever transfer, think about the school that you're transferring into. Is it a gigantic state school where students are starting and graduating at all different semesters? Or is it a smaller, more traditional four year school where students stick to a fairly regimented eight-semester schedule? If it's the former, transfer whenever works for you. You won't be a novelty for moving in at the start of spring semester because half the campus will be moving in or out. If it's the latter, try to start in the fall - at the beginning of a new year - rather than spring semester. You'll feel less out of place if everyone is moving back into the dorms together. You can all adjust to a new dorm and a new year together. Another orientation? Haven't you already done this all at your last school? I know you feel like you've got the whole college thing down. But you don't. Your new school may be startlingly different from your old school. Orientation gives you an extra opportunity to learn about your campus before you actually live there. It's never a bad idea to spend a little extra time figuring out where the dorms, library and gym are before classes start. When you aren't overwhelmed just trying to find your class, you have more time to work on the social aspects of college life. Plus, orientation will be full of other new people who don't know anything about the school. It's a good way to learn some faces. If you have the option of living on campus, do it. At least for the first semester. It's a great way to meet people. When there are that many people in a tiny space, sharing a bathroom, you are bound to get to know them. Some schools offer housing specifically for transfer students. This means you'll be assigned to a dorm with another transfer student. Even if you and your transfer student roommate don't become best friends, at least you'll have the common bond of starting over. It's good to surround yourself with people who understand what you're going through. It may seem like everyone around you has already found their lifelong best friends. They haven't. Perhaps the easiest place to start is to find the other transfers. Attending orientation and living in the dorms for transfers will help you meet people in your same boat. Most schools will have a Facebook page devoted to incoming transfers. Join the group. It'll help you learn some faces and maybe find a roommate before the semester starts. Not having lived in the dorms freshman year is a disadvantage socially. Most people make at least a good friend or two during the early months of freshman year when everyone is new to the school and needs a social circle. Breaking into established groups may seem a little scary. But there are easier ways to go about it. Take advantage of your school's groups and opportunities to get involved. Rush a sorority, join the marching band, start writing for the paper, anything! Do what you love doing and you'll be sure to meet people with similar interests. Regardless of the size of your college, it will offer endless clubs, organizations and athletics to choose from. Getting involved in your community will help you establish a network and a sense of "home." Moving to a new place is busy and stressful. You haven't quite figured out your new classes and the professors are very different. Don't forget to make time for your old friends. Keeping in touch with people from your former college, or even your high school will keep you from feeling lonely on those days when your new college is a struggle. Just because you moved away to pursue a different opportunity, it doesn't mean you have to cut all ties to the past. Meet with your advisor - the earlier in the transfer process, the better. Your advisor can help you decide programs and degrees. They can help navigate which of your classes from your former school fill requirements and what you still need to take to graduate. Advisors are a wealth of untapped insight. They can advise you on which professors are better, which classes more popular, and which classes will look better on your transcripts in the long term. They may even have resources for your career search. The student/advisor relationship is an important one, especially for a transfer student. They can guide you on how to navigate some of the bureaucracy at your school. Don't be afraid to ask your advisor for suggestions and advice. They know more than you do. Use their insider knowledge to make your college experience a little smoother. This is both metaphorical and practical advice. Mentally, give yourself time to figure out the new school. Don't expect to walk in on day one and have new friends and ace your classes. It is going to take time to acclimate and adjust. Accept that now and it'll be easier. Give yourself extra time to get anywhere. If you think it'll take five minutes to walk to class, leave 15 early. You don't want to be the new kid that got turned around and rushes into class ten minutes late. Plan extra time into all of your days for getting lost, trying to find a new building, and generally learning the campus. Adjusting to a new school and living situation can be difficult. No one is saying that it won't be a challenge. Maintain a confident attitude that you will adjust. Confidence is like a muscle. You need to work it out to develop muscle memory. Eventually being confident will be your default. Displaying confidence (even if you're still faking it) will make it easier to make friends. Even your professors will take notice of it. Stay positive until the adjustment happens. One day you won't need to fake it anymore. You chose to transfer to a new school because the opportunity was better, the scenery was more desirable, or the classes better aligned with your goals. Whatever the reason for your transfer, it was a choice you made for you. The adjustment pains pale in comparison to the fact that you're achieving a new goal. You're living a new dream. These nine tricks and tips will help ease the transition to a new college as a transfer student. Always remember, you're not doing this alone. Almost 40% of college students have been, and will be, where you are. Did you find this article helpful? 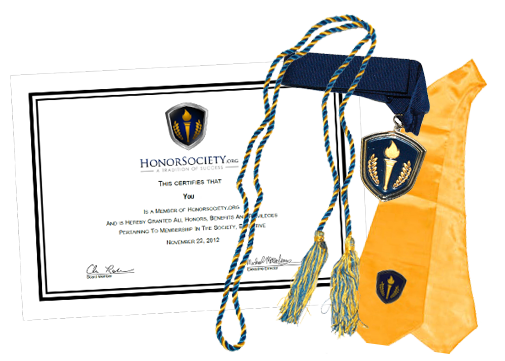 Visit our website to see more ways in which the Honor Society supports your future success. Caitlin Schumacher: My Study Abroad Scholarship! HonorSociety.org Recognizes Mayor of Los Angeles as Honorary Member.